Here’s release note of version 3.2.0 including TV Friends iPhone version. Supported OS is changed as the followings. Rooms for FIFA World Cup 2018 are available. 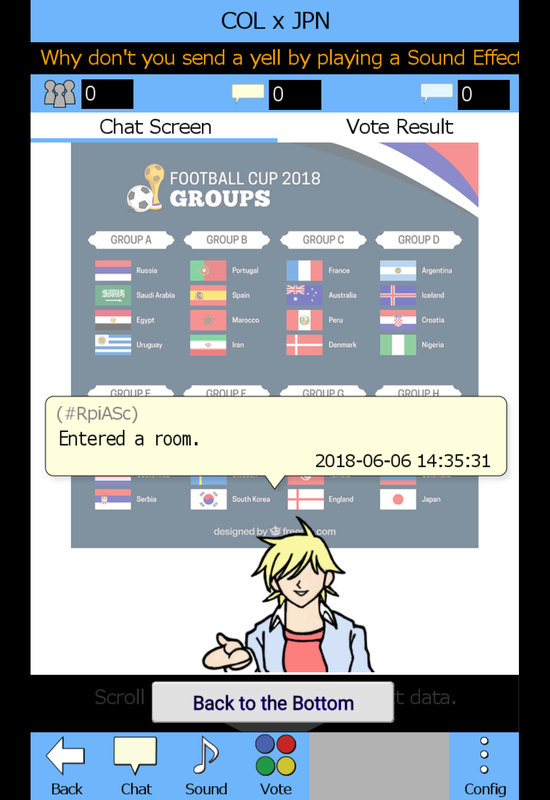 In addition, special background image will be shown in Chat Rooms for the World Cup 2018. 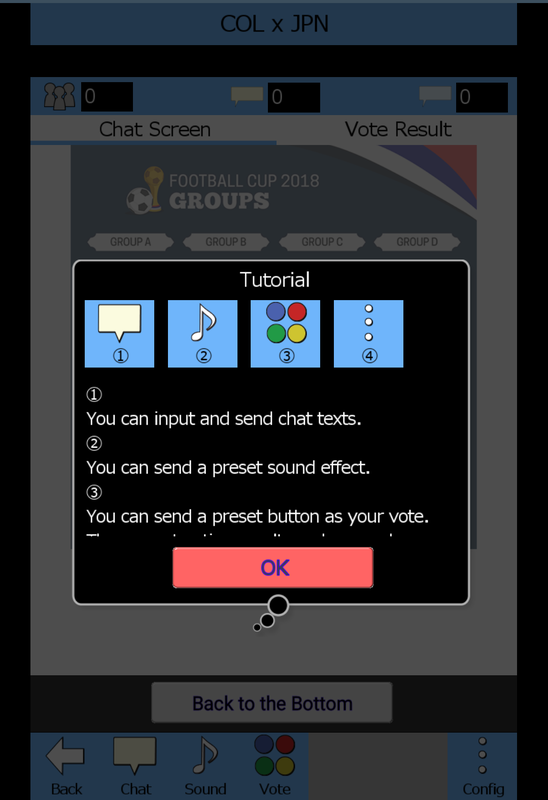 The above functions will be disactivated as soon as the World Cup 2018 finishes. Please refer the special page for the World Cup 2018. This event is finished on 2018/07/16 JST. 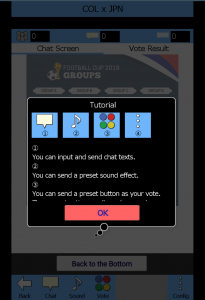 When you enter a chat room first time, a tutorial dialog will be shown. The dialog will be shown only once. 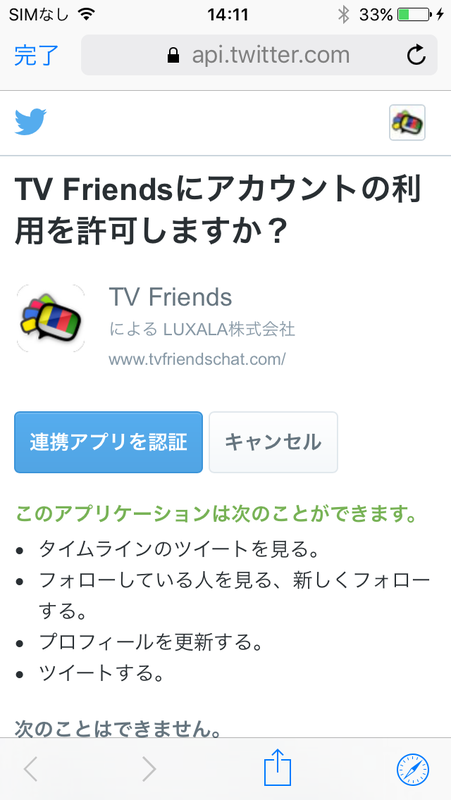 On devices whose screen’s resolution ratio are not 16:9, TV Friends will be shown in 16:9 format using black area at the right and the left side of the screen. 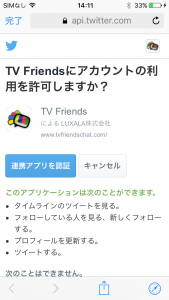 Now you can reset Twitter account connected to TV Friends. 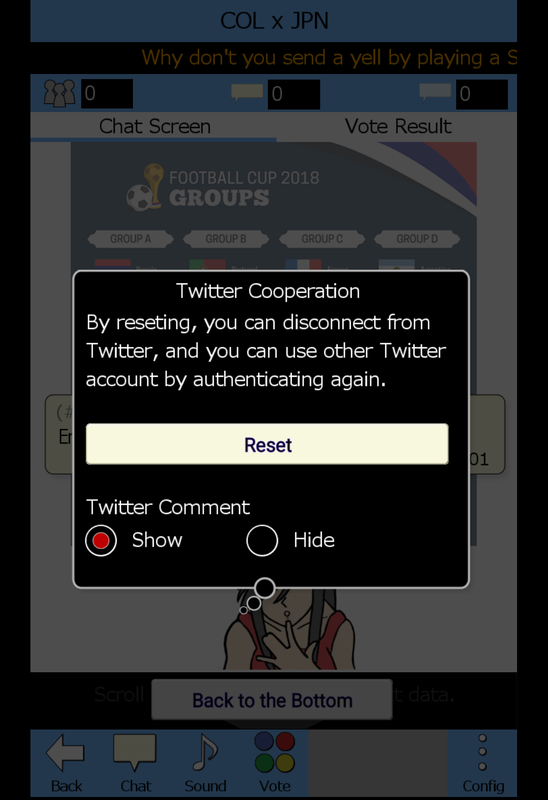 If you open “Config” > “Twitter Cooperation” after you set up your Twitter account, “Reset” button will be appear on the Twitter Cooperation dialog. 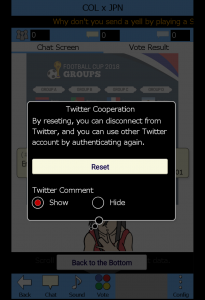 After you reset Twitter account, It is possible to set up other Twitter account. [iOS] To adopt iOS11.0, in which Twitter account management manu is deleted, new Twitter account authorization flow, which is the same flow as Android version, is implemented. A Web browser will open to authenticate your Twitter account. [Android] On Android 6.0 and later, Twitter comments’ profile icons will be shown. On less than Android 6.0, the icons won’t be shown as same as before. A parcial graphic issue is fixed.